Considering it is coming up to winter or in my case an extension of an Irish summer because the weather has been terrible. Anyway I thought I would share one of my favourite drinks with you. It is really simple to make and is oh so comforting on a cold evening. I spotted this Hazelnut drink in Tesco recently and thought that would be amazing in hot chocolate and I was right it is gorgeous. I originally thought that a Hazelnut drink that might be a healthier option than milk but be under no illusion it is full of sugar probably the reason it tastes so yummy. Anyway I shall insult you with the instruction just incase any of you are like myself in that my cooking skill are in dire need of improvement so I never shy away from directions. You can choose to use Hazelnut drink or regular milk. If you are using regular milk you may need to add more Nutella depending on how sweet you like hot chocolate. 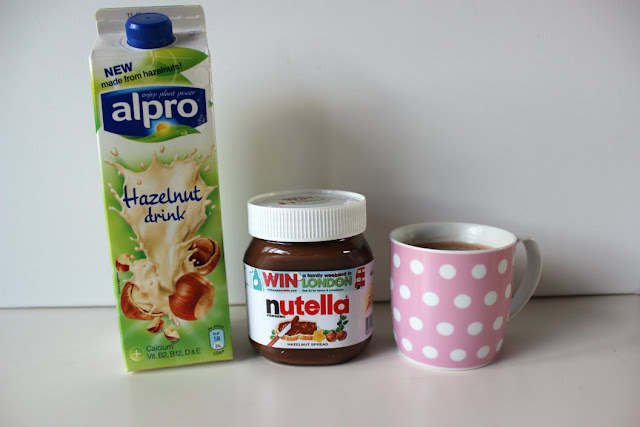 The first time I used the Hazelnut drink I whacked in my normal two teaspoons of Nutella and found it way too sweet and believe me I have an extremely sweet tooth. 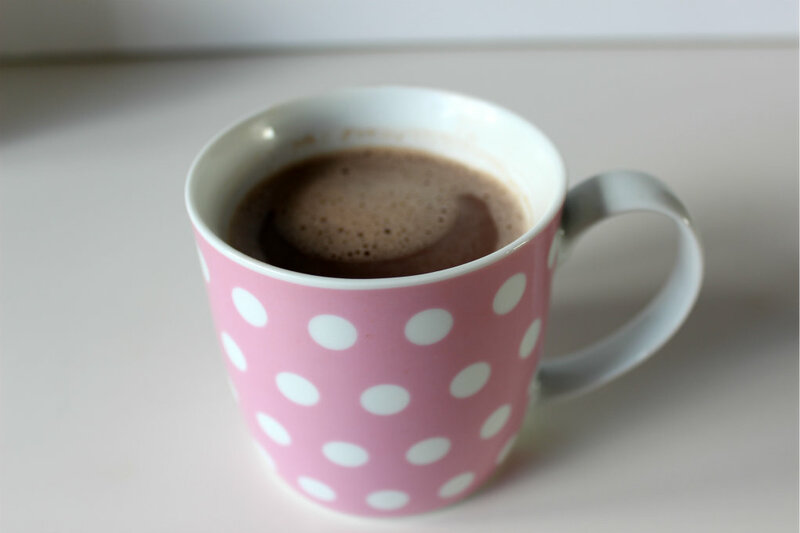 Simple, pour a cup of Hazelnut drink in a pot and gentle heat it when it is luke warm add your tablespoon of Nutella and stir in. I find you actually need to whisk it in to incorporate it fully. The Result - It did not last very long on order for me to take some good looking pictures I just kept sipping at it. Sorry. Have any of you tried Nutella hot chocolate? Did you like it? As a massive Nutella fan so I am converted and could never go back to regular hot chocolate! Gonna try this right now !!! And yes, I've had Nutella hot chocolate, and it is AMAZING! You should definitely try it! 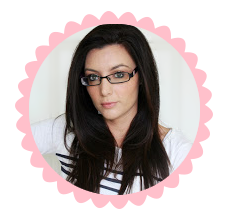 I found you on the GFC blog hop, and am now your newest follower. You should swing by and check me out, right now I’m hosting an AWESOME giveaway at my blog for a $25.00 Forever 21 Gift Card and ad space with me. And since you're shopping obsessed (like me! ), I'm sure you could easily spend that $25.00 Gift Card! This looks great. I love nutella so will have to try this! This is a really good idea! I had never considered using nutella in a drink! I found your blog through the Walkabout Wednesday Blog Hop! Thanks for linking up! This looks yummy! I hope you can share it on my blog link up today, this is perfect. This sounds amazing! You should give it a go with almond milk, it would be yummy!